You are currently viewing Archived reports for the week of 1 October-7 October 2003. During 26 September to 3 October, seismicity was above background levels at Karymsky and the Concern Color Code was raised from Yellow to Orange. 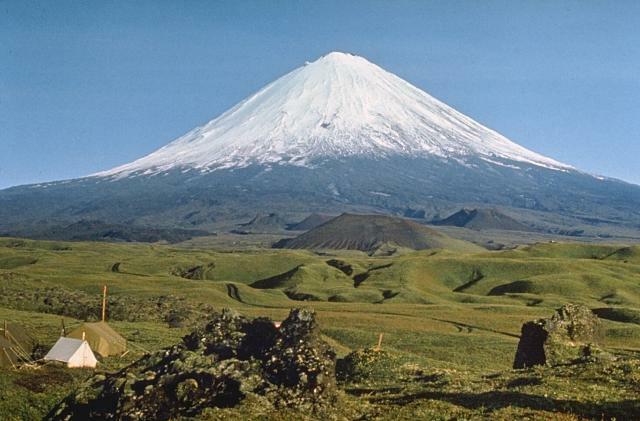 During 25-29 September, 200-270 shallow earthquakes occurred that indicated possible ash-and-gas explosions to heights of 1-1.5 km above the volcano. 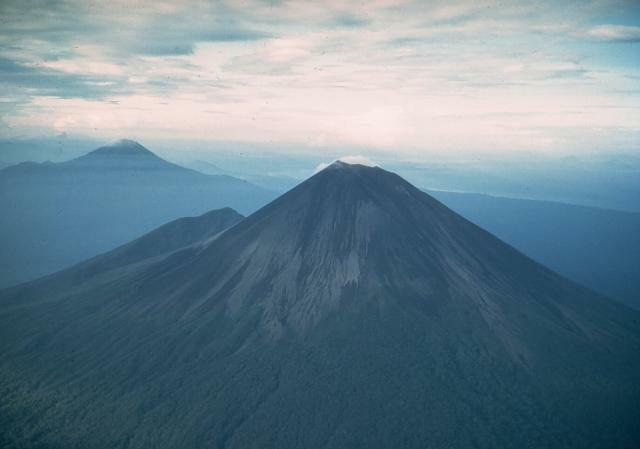 Interpretations of seismic data suggested that on 2 October at 0633 an ash explosion began that produced a plume to 3.5 km above the volcano. A seismic pause was recorded on 2 October. A pilot reported seeing an eruption cloud from Masaya on 4 October at 0731 at a height of ~4.6 km a.s.l. Satellite imagery showed a white plume emanating from the volcano, but there were no indications of ash, suggesting that the plume was composed mainly of gas and steam. During 1-7 October, ash plumes emitted from Dukono were sometimes visible on satellite imagery rising to ~3 km a.s.l. and extending to a maximum distance of ~130 km from the summit. 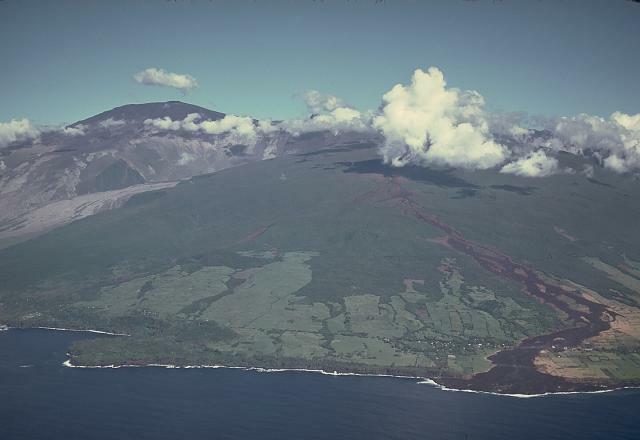 During 1-7 October, surface lava flows were sometimes visible on Kilauea's coastal flat and upslope areas. 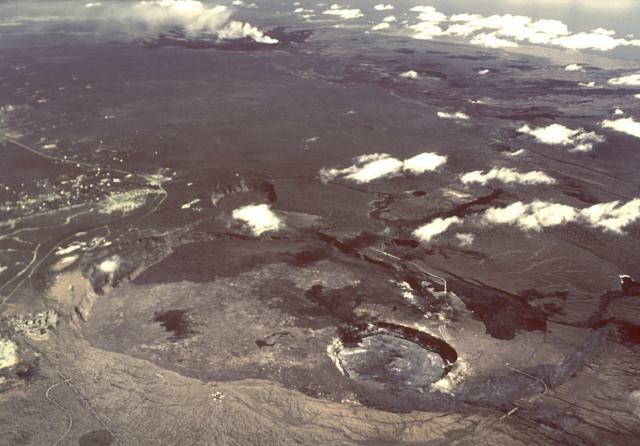 On 2 October lava began to flow westward after filling West Gap Pit on the W flank of Pu`u `O`o cone. Fairly vigorous spattering was visible in the pit, but died to only sporadic bursts later in the day. The flow appeared to have stopped by 4 October when no glow was observed coming from the pit. Generally, seismicity at Kilauea's summit continued at moderate levels, with 1-2 small low-frequency earthquakes per minute occurring at shallow depths beneath the summit caldera. There were some larger earthquakes at depths of a few kilometers. Also, there were small inflation and deflation events during the report week. Seismicity was above background levels at Kliuchevskoi during 26 September to 3 October. Each day, 2-6 earthquakes (M 1.7-2) occurred at depths around 30 km. 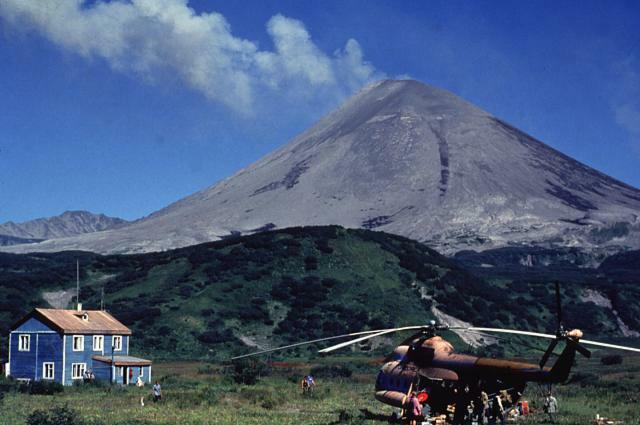 During the report period, ash-and-gas plumes rose to ~1 km above the volcano and extended as far as 100 km. 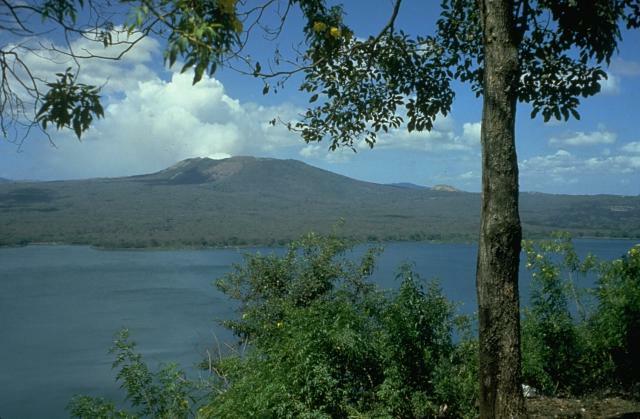 During the evenings of 25 and 30 September, and 2 October, Strombolian activity was visible in the volcano's central crater. Kliuchevskoi remained at Concern Color Code Orange. A seismic swarm began at Piton de la Fournaise on 30 September at 2225 about 2 km beneath the SW area of Dolomieu crater. 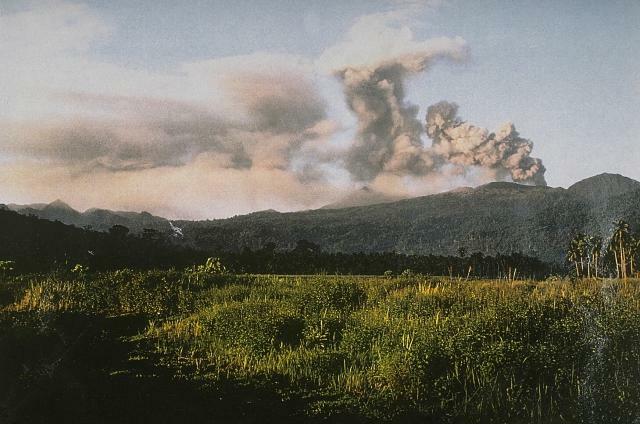 At 2330 eruption tremor began beneath the volcano's SSW flank. Then, a 400-m-long fissure opened at an elevation of ~2,350 m. Eruption tremor peaked on 1 October at 0100, began to decline at 0200, and ceased at 1300. 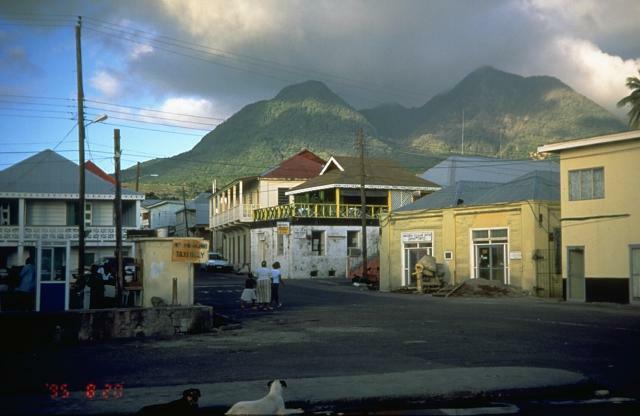 Volcanic activity at Soufrière Hills during 26 September to 3 October was slightly higher than during the previous week. During 30 September to 1 October, tremor coincided with vigorous ash venting that produced clouds to between 2 and 2.5 km a.s.l. The ash clouds drifted W over the town of Plymouth. No new lava-dome growth was seen during the report week and sulfur-dioxide emission rates were generally at moderate-to-high levels. 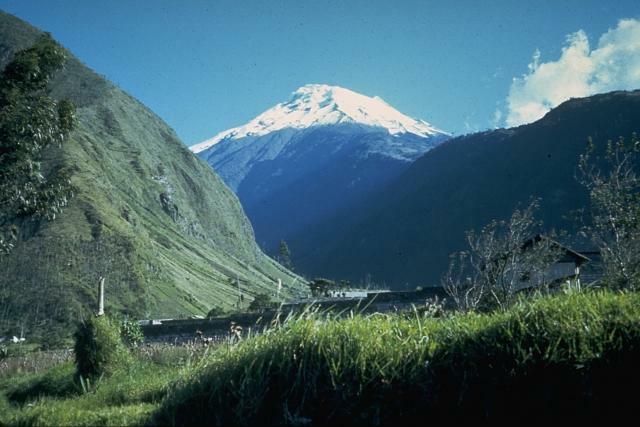 Moderate-to-large ash emissions continued at Tungurahua during 1-7 October. On 1 October gas-and-ash emissions reached a height of ~4 km and drifted NE and NW, depositing ash in San Juan, Pillate, and Valle del Patate. Seismicity was dominated by long-period earthquakes and explosions. On 5 October a faint ash plume was visible on satellite imagery at a height of ~4.3 km a.s.l., extending 55 km WSW of the summit.